I can’t stress the important of a proper bias enough. Without a proper bias the amplifier is never going to function at it’s best. The power tubes play a very important roll in the perception of head room and dimension, as well as the noise floor of the amplifier. 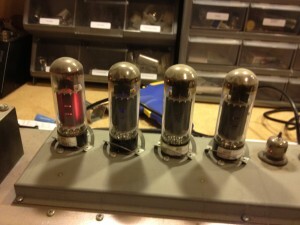 Preamp tubes are just as important too. However if your power tubes are biased cold the amplifier is only putting out a fraction of the wattage the tube is capable of. The tone is cold, dark, overly clean in a non dimensional way, lacking warmth and note bloom. Often Fixed bias amplifier are shipped with a cold bias to allow for a one size fits all approach during assembly. If you are lucky the amp you got had a hot set of output tubes so it’s closer to the true bias point otherwise a perfectly great amplifier could sound horrible! For no other reason than a poor bias. If tone isn’t enough Red Plating can cause premature tube failures resulting in potential damage to the Output Transformer. Luckily fixed Bias Amplifiers can be modified to an Adjustable fixed bias. (See Bias Modifications) This allows the fixed bias value to be dialed to the correct bias point for the set of tubes being used. The other added benefit of a fixed bias modification is that you are no longer chained by the manufacture of some amplifiers who force you to purchase replacement tubes from them, now you can save money on aftermarket tubes. (In many cases the same tubes without a premium mark up price tag). If the amplifier is biased to hot two things can happen. The first is a reaction referred to as “Red Plating” where the plates are over biased (over current) and stripping the tube of its ability to conduct. This is sure death for a consumer amplifier tube (Not taking into account industrial tubes that use the glowing plate as an additional getter). Tube life can often be measured in…moments, minutes, hours, days, death… the second is saturation or early breakup, over driven and mushy note response. The ideal bias should give you the benefit of prolonged tube life, with the right balance of note sustain, headroom, and note bloom while achieving a balanced dimension character to the playing. Within every bias range is a small percent of subjective tonal characteristic. Desert Amplifier Repair uses a specially developed bias method blending Static and Dynamic bias styles to create the perfect balance between tone and tube life giving every amplifier DAR biases incredible head room and dynamics. 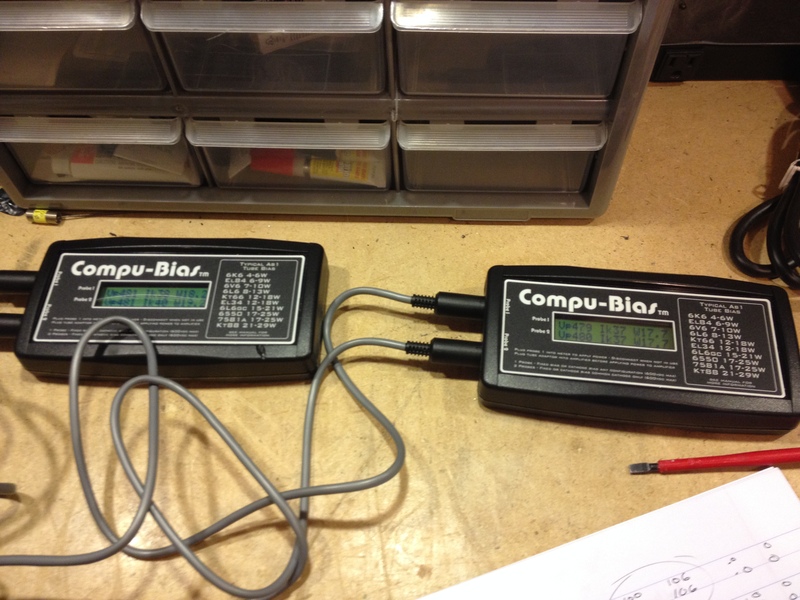 Unlike using a voltmeter and bias probe with a predetermined one size fits all number someone got off the internet. DAR calculates the ideal bias point based on your amplifiers voltages and tube strength. Before the bias procedure is started the original Bias measurements the amplifier came in with are documented. DAR first tests every tube on our Amplitrex AT1000 for matching, characteristics, microphonics, gas and leakage. Once the tubes are determined to be within matched tolorances and free of issues. The tubes are then installed and allowed to heat up for 5 minutes. Using a set of Compubias, bias meters to monitor the bias for each tube in real time. The tubes are set to a safe operating bias and allowed to stretch and settle in. The tubes are run through a cycle of different bias points over the next 10 minutes to aid in stabilizing the tubes before settling in on the target bias point. 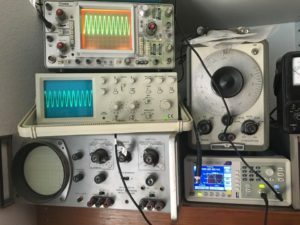 Once the tubes have been allowed to stabilize statically, a signal is applied to the amplifier and fine tuned dynamically using the Oscilloscope, and tone generator. The final step, This is where DAR really shines. With several decades of experience understanding what makes great tone, the final step of the bias is to play the amplifier and dial the final voicing by ear. After this is done. The amplifier remains on test and is monitored for drift for another 10-20 minutes. At which point if the measurements and tubes are stable, the final readings are documented and the bias is complete. 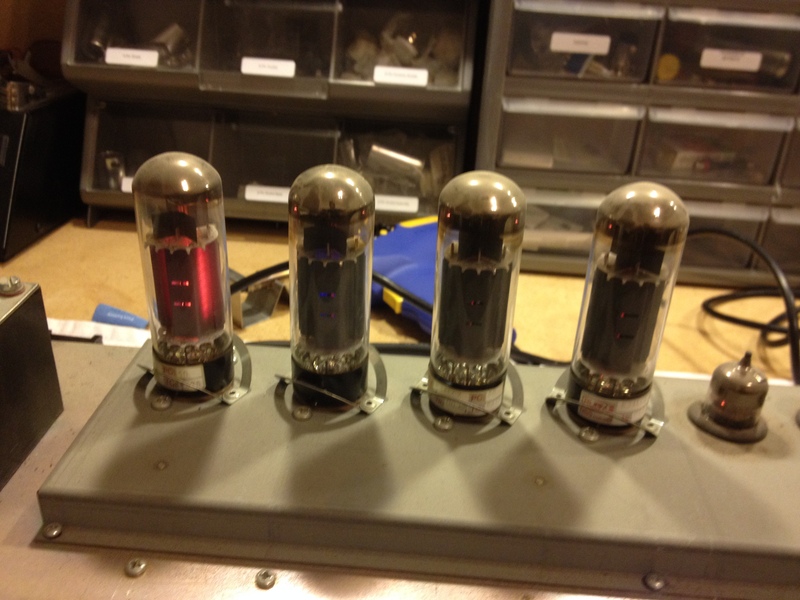 During normal operation of your amplifier the tubes will age and drift. This is most noticeable in new output tubes as they settle in. As this happens the bias point will drift. Because of this it’s recommended to have your bias rechecked after 6 weeks or if you hear a change in tone and then annually to maximize your tube life and tone as well as to prevent costly repairs. While servicing an amplifier if the bias is found to be within a safe operating range. The amplifier doesn’t need a bias so it will be at the clients discretion if they would like a DAR bias. 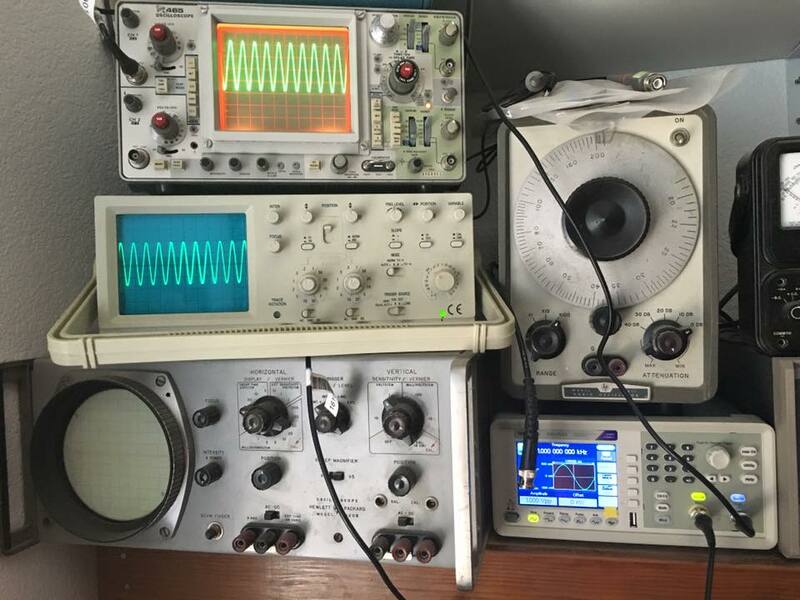 During a Diagnosis if it is found necessary to bias the amplifier it will be documented in the Estimate, prior to repairs.